Super Mario Bros: The Lost Levels, Sin and Punishment and more coming to the Virtual Console. As hard as it is to admit for those of us who remember the event, it's been 22 years since Super Mario Bros first came out in Japan. To celebrate the occasion, and coinciding with the Hanabi Festival of fireworks displays kicking off in the country this week, Nintendo is offering Wii owners in Europe something special. 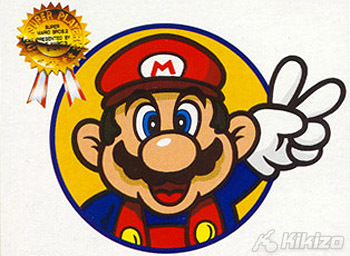 For a limited time, Wii owners will be able to download the previously Japanese exclusive Mario NES game Super Mario Bros: The Lost Levels from the Wii Shop for play on the Virtual Console. The game, which was released in Japan on the Famicom Disk System, will cost 600 Wii Points and is only available until the end of September. It's all part of Nintendo's Hanabi Festival inspired celebrations, which for the first time will see games previous only available in the US and Japan released in Europe. In addition to Super Mario Bros: The Lost Levels, Nintendo is already releasing a few other in-house and third party games over the coming weeks. This week that includes Mario's Super Picross, a Japan-only picture-puzzle game for the Super NES. Some of the other games you can expect over the next fortnight of the Hanabi Festival are: Ninja Gaiden (NES, US version); Gradius III (NES, US version); Ninja JaJaMaru-Kun (NES, Japan version); and Sin & Punishment (Nintendo 64, Japan version).